Whether you’re needing your first website, a new brand identity, or just the refining of an existing website, Roadrunner Media is dedicated to assisting you personally throughout the entire process. Planning, Design, Implementation, Development and Management and we do it all within your budget. Our priority is to build websites that attract potential customers who need and are looking for businesses like your’s. The days of people engaging with websites exclusively on desktop are over. Mobile optimization is a must. Responsive design allows your website to look great and operate flawlessly on desktop to mobile and everything in-between. It is one of the most vital features of a website since 88% of users who search for a local business on a mobile device call or go to that business within 24 hours. The more planning and development put into making a website responsive, the more likely it is to look great on all devices that your users visit and search with. 57% of users say they won’t recommend a business with a poorly-designed mobile site 61% of users are unlikely to return to a mobile site if they had trouble using it This is the reason why Roadrunner Media Website Design, a top responsive website development company in Fort Worth build sites that look awesome no matter how they are found. 6125 Airport Frwy. Fort Worth, TX. The days of people engaging with websites exclusively on desktop are over. Mobile optimization is a must. Responsive design allows your website to look great and operate flawlessly on desktop to mobile and everything in-between. It is one of the most vital features of a website since 88% of users who search for a local business on a mobile device call or go to that business within 24 hours. 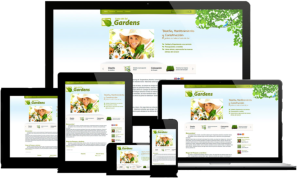 The more planning and development put into making a website responsive, the more likely it is to look great on all devices that your users visit and search with. 57% of users say they won’t recommend a business with a poorly- designed mobile site 61% of users are unlikely to return to a mobile site if they had trouble using it This is the reason why Roadrunner Media Website Design, a top responsive website development company in Fort Worth build sites that look awesome no matter how they are found.